This is a beautiful catalog with an introduction that includes photos of Thayer's residence. 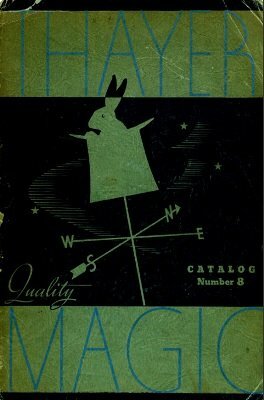 This catalog was published in 1936 and as the title page correctly states: "The Finest, Largest, And Most Comprehensive Compilation of Magical Goods Ever Published." 1st edition 1936; 311 pages.